Colder weather, fewer hours of daylight, and stressing about finals can leave us all feeling a little down these days. Reaching for high calorie, low nutrient snacks and meals is a common mood boosting method; however, the wrong food choices can leave us feeling even more sluggish and blue. Studies have shown that adequate intake of certain diet components, such as B-vitamins, omega-3-fatty acids, vitamin C, and magnesium can help control stress, allowing us to be more relaxed. Perhaps the best news of all is how easily these nutrients fit into our everyday diet, as long as we know which foods to choose. 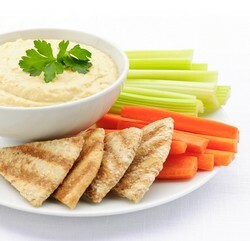 Vitamin B6: Found in avocados, chickpeas (hummus! ), baked potatoes with skin, yellow fin tuna and steamed green beans. B6 is a major contributor to the production of serotonin, a neurotransmitter responsible for regulating mood, emotion, sleep, and appetite. Stress depletes the body’s B6 levels, resulting in a decreased amount of serotonin synthesis. Vitamin B12: Found in low fat or fat free milk (or soymilk), salmon, and chicken. With the help of other B-vitamins, vitamin B12 helps make GABA, or Gamma-Amino Butyric Acid, which calms nervous system activity. 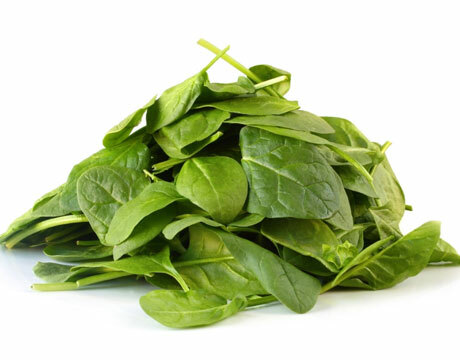 Folate/Folic acid: Found in asparagus, chickpeas, lentils, oatmeal, orange juice, and spinach. Folate/folic acid is another B-vitamin, and is essential for the production of dopamine, a neurotransmitter associated with pleasure. Omega-3-fatty acids: Found in salmon, tuna, pistachios, and walnuts. Omega-3-fatty acids can help regulate stress hormones, as well as protect against mood swings and even PMS. Magnesium: Found in spinach, almonds, sunflower seeds, tofu, and wild rice. Magnesium is depleted by stress, and is also needed for the production of the neurotransmitters GABA and dopamine. Vitamin C: Found in broccoli, orange juices, red and green peppers, strawberries, and most other fruits and vegetables. Vitamin C boosts your immune system, staving off additional stress and blues brought on by the common cold or flu. Complex carbohydrates are another good choice; they offer extended satiety because they are digested slowly, regulate blood sugar levels, and help make serotonin. Complex carbohydrates include whole grain pastas, breads, and cereals (refer back to “Whole Grain Goodness—New whole grains to discover for your diet for more ideas). Adding just a few of these foods to your diet each day can help ward off the grouchies and keep our stress levels low. However, it is also important that we don’t deprive ourselves from our favorite goodies. Sometimes what we really need is to indulge in a comfort food that we adore. Finding the right balance is key to being both happy and healthy. This entry was posted in Food and Recipes, Lifestyle and tagged Dietetics, emotion, exams, food, health, healthy, holidays, James Madison University, JMU, mood, nutrition, UREC by foodurecognize. Bookmark the permalink.